By olduvai in Environment, Liberty on March 21, 2019 . 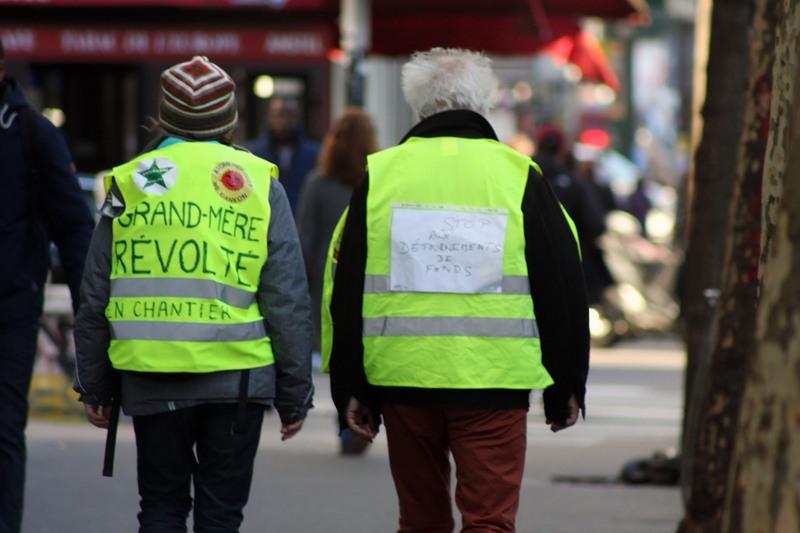 On March 8, Cyril Dion, a well-known documentary film maker and environmental writer, gave a joint interview to Le Parisian with Priscillia Ludosky, considered one of the founders of the Yellow Vest movement, in which they both encouraged protesters to march together. The contrasts between the two demonstrations, however, wound up drawing the main press attention.Coverage by outlets such as Reuters and the Associated Press emphasized how the march on climate change — which drew around 45,000 in Paris, according to media estimates — was peaceful and included movie stars. The smaller Yellow Vest demonstration in the capital, estimated at around 10,000, was marked by rioting and vandalism.